Situated half way between Pisa and Lucca, in the San Giuliano Terme district and sheltered by the Pisan hills is the beautiful Villa Roncioni, now home to a large collection of historical costumes and artifacts. 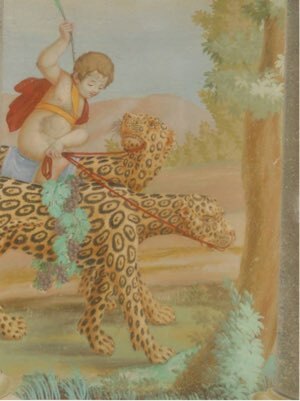 The exhibits are part of the Cerratelli House of Art collection, founded in 1914 by opera baritone Arturo Cerratelli and celebrating its 100th anniversary. Puccini was a friend of Cerratelli, who had sung in an early performance of La Boheme at the opera house in Rome and was a frequent visitor to the Art House in Florence. 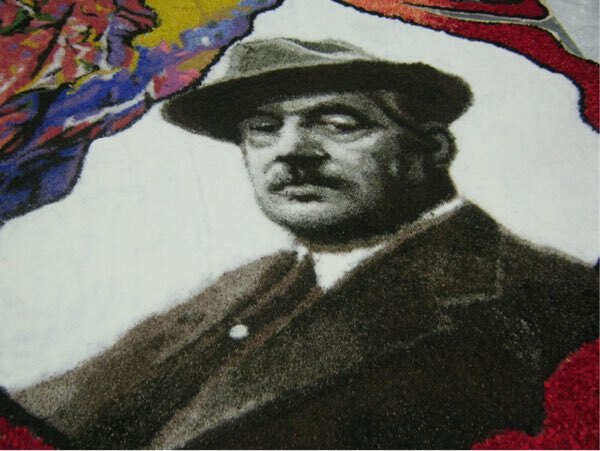 Thanks to Puccini’s support, the costume house grew from strength to strength and was soon celebrated worldwide. 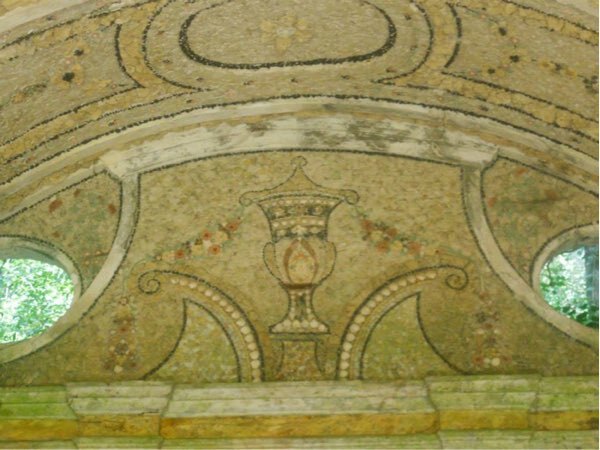 The Cerratelli Foundation was formed in 2005 and its historic and prestigious collection was taken over by the Municipality of San Giuliano Terme in the Province of Pisa. 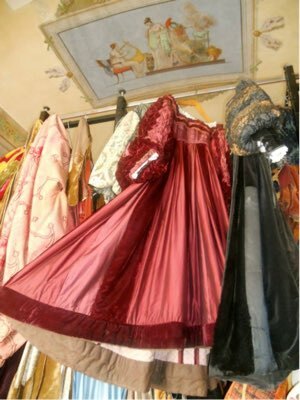 It features more than 30,000 historical costumes and artifacts created for the most important operas, film and theatrical productions. 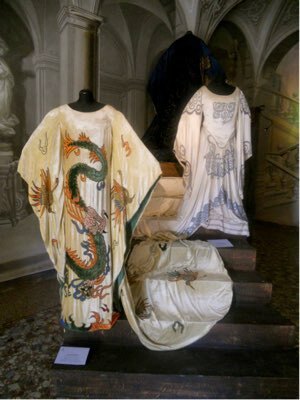 The present exhibition showcases historic costumes from the foundation, among them restored costumes from Puccini’s last opera, Turandot, taken from three different productions: from 1940, 1958 (a television production by RAI) and finally, from the production at the 2014 Puccini Festival by Angelo Bertini. 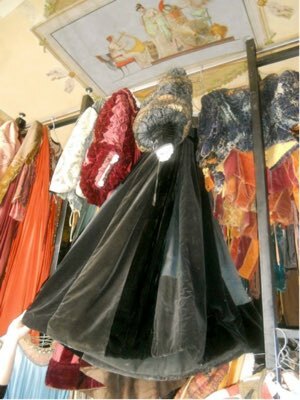 There are costumes originally worn by such great singers as Renata Scotto, Fiorenza Cossotto, Katia Ricciarelli, Daniela Dessi and Giovanna Casolla, all from different productions and different eras, which compared, show how the costume can help with different interpretations. The terrible floods in Florence in 1966 left many items either destroyed or badly damaged and some of those that have been saved and restored are on show. The villa Roncioni is worth a visit in its own right. Its origins can be traced back to the 15th century when as a simple country farm house it was first bought by the Roncioni family. The architect Giuseppe Gaetano Niccolai began a series of renovations in 1772, which eventually led to the magnificent building we see today. Interestingly there is a silkworm nursery, built by architect Alessandro Gherardesca in 1822, with pinnacles and statues in terracotta. It is the first example of a manufacturing building built in neo-Gothic style in Italy. 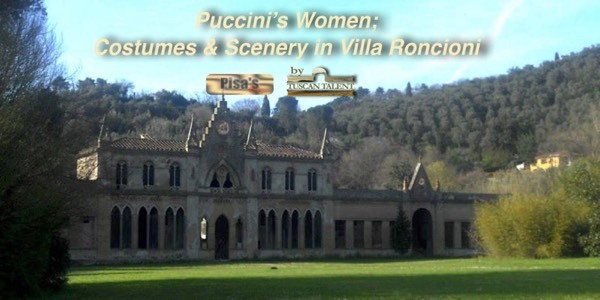 Here, silkworms were bred and Villa Roncioni is an excellent example of how some noblemen combined using their own beautiful villa as both work place and residence. Gherardesca later built a theatre and a small church in the same style and there is a grotto with nymph decorations on the ceiling and marble fountains. Various scenes from the film, 'Portrait of a Lady,' were filmed at the villa in 1996. Based on the novel by Henry James and directed by Jane Campion, the film, which starred Nicole Kidman won various awards, including an academy award for best costume design. 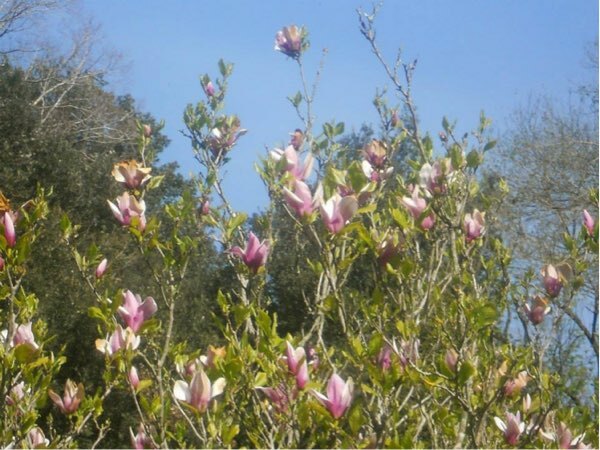 Lord Byron apparently persuaded Isabella Roncioni to create an English-style landscape garden, which remains a delight. The Foundation is very active and promotes and organizes seminars, training courses, events, conferences and meetings. The exhibition, which closes on 3 May, highlights the importance of the costume as an integral part of the set and as a crucial aid for communicating the most convincing interpretation of the character to the audience.